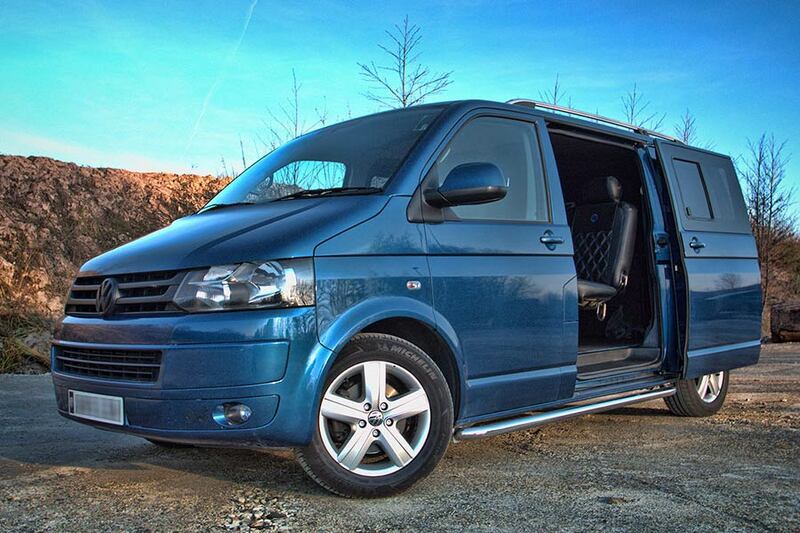 If you are looking to purchase a fully loaded, luxurious campervan, whether it be for holidaying, racing or touring with a band, then look no further than Handsfree Group Leisure. 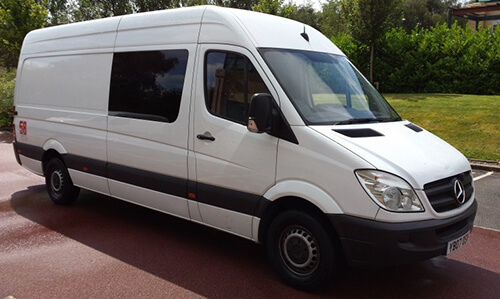 Utilising the state-of-the-art Installhub facility in York, the HF Leisure Division’s skilled FCS 1362 accredited FITAS engineers convert hundreds of Mercedes Sprinter and Volkswagen T5 vans per month into high spec campervans. With a choice of a “stock” conversion or working closely with the Leisure team to design a custom van, customers can have as much or as little input as they like. Installhub’s primary role is providing specialist conversion and installation services to Handsfree Group’s impressive portfolio of transport, logistics and emergency service clients. Opened in 2016, it has successfully completed thousands of vehicle conversions and installations. The ‘Hub’ allows the team to turn around fleet installations, pre-delivery vehicle fit outs and specialist conversions all in one state-of-the-art facility, which significantly reduces vehicle downtime for clients. The ‘Hub’ works great for the HF Leisure team as it provides ample space to for the refit and manufacture of campervans from start to finish. The facility allows the engineers, who are all trained to FCS1362 FITAS industry standards, to adapt existing equipment or manufacture their own designs, such as a steel tube fold out bed to fit an exact shape for a Sprinter design. 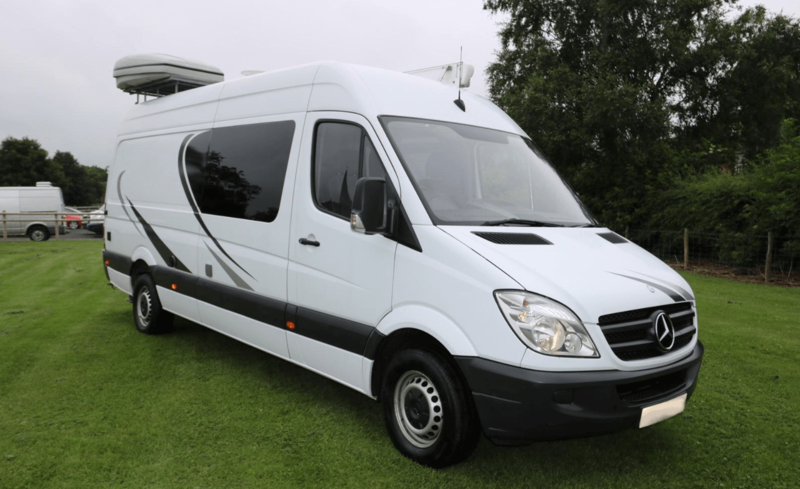 Given their vast experience in campervan conversions, the HF Leisure Division’s engineers know the Mercedes Sprinters and VW T5’s inside and out. Each van type has a design template which can be adapted to suit an individual customer’s requirements or kept simple for “stock” vans ready to be driven away. 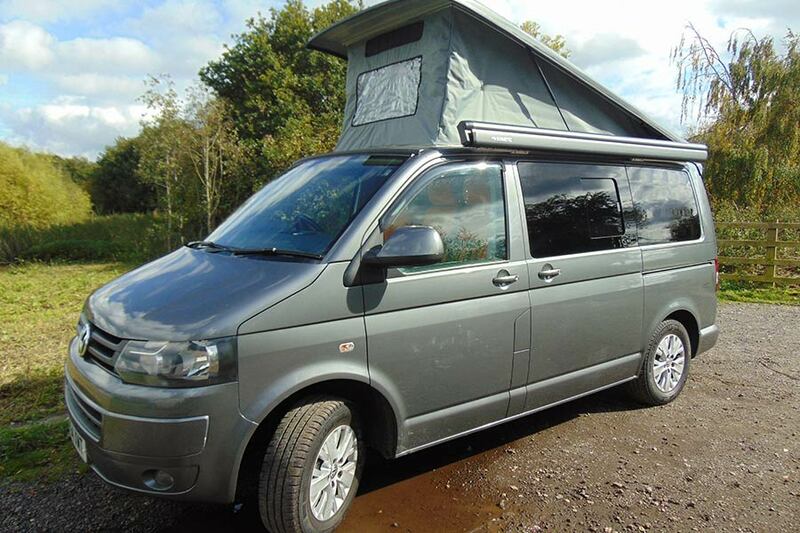 With access to a wide range of suppliers built up over the years, HF Leisure has access to all the latest cutting edge campervan equipment, such as the latest energy efficient solar panels. Each van is designed and manufactured with care and precision. If a customer is looking for something individual and unique, HF Leisure will work with them to make it happen. HF Leisure like to place an individual stamp on each van to give the customers more than they were expecting. Recent examples of this include large embossed VW logos set into the lining of a camper roof and walls for an individual look, or your band logo set into the roof in colour changing fibre optics. 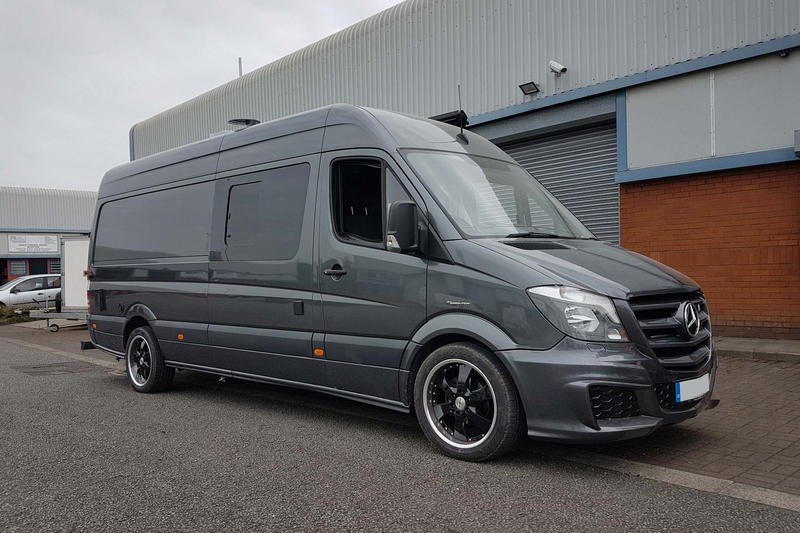 Handsfree Group Leisure and the Installhub offer the the ability to “customise and design your van the way you want it to fit your lifestyle requirements and budget”. If you would like further information on this service or would like to arrange a demo, please contact us here.